The adventurous outdoor sport Bungy Jumping in Nepal is a popular day trip when the travelers are in Kathmandu. It is awesome and thrilling trip, which is suitable for the adventure loving people. The excitement of Bungy has been highly praised by the tourists as Nepal has one of the best Bungy spots in the world. Bungy over the Bhotekoshi River is situated 12 km away from the Tibetan border and about three hours drive from Kathmandu. The bungy bridge has been made with the Swiss technology and the distance is 166 meters deep. The surrounding views of forest, Himalayas, hills and River astound us. Different types of programs are available in Nepal with us as bungy, swing and others. It can be joined with a day rafting in Bhotekoshi River. We provide transportation for the road drive to bungy site with lunch and drive back to Kathmandu too. Overall, Bungy Jumping in Nepal can be the best choice for them who want to spend an active holidays in Nepal. Rising Adventure Pvt. Ltd. has been conducting Bungy Jumping in Nepal with full of safety and security. Please, contact us for more details. 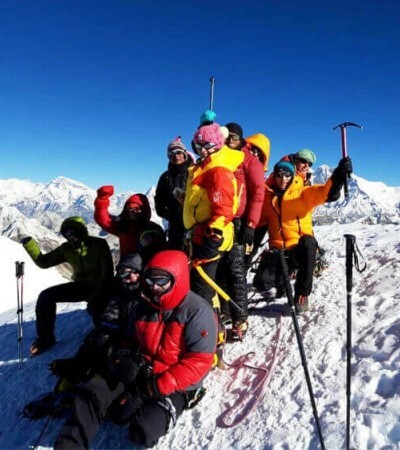 Note: If you have the extra vacation and want to extend the trip in Nepal, we help you in arranging or you can also join our Adventure Weekends Package in Nepal which includes the Bungy Jumping and other possible adventure activities in Nepal.